An simple yet elegant pewter light for your bathroom done Federal style. Also great for your hallway or sitting room. 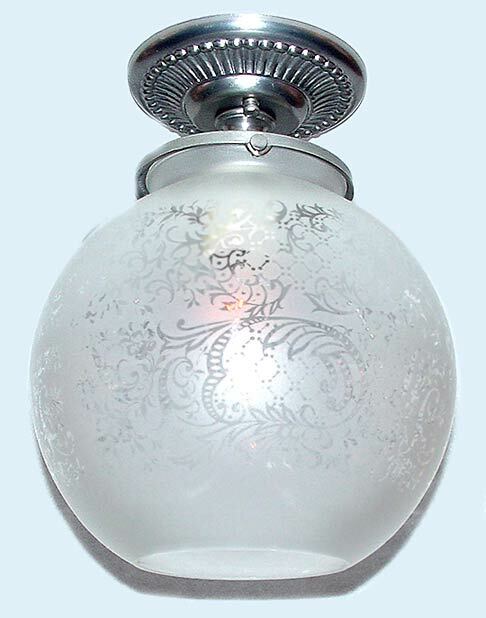 Features a French acid etched open bottom glass globe. Add a down rod below the backplate to create a beautiful Federal pendant light for your kitchen island.